US Wellness Meats is locally-grown sensibility and quality with national accessibility, and the standard in quality proteins–and for a good reason. Their sustainable practices not only produce the healthiest, most amazing grass-fed beef, but they care about the environment, too. How so? For starters, the grass fed to their animals isn’t dependent on imported oil and fertilizer, and it helps absorb carbon rather than produce it. A 30 to 45-day rest period between grazing increases the density of existing plants in their pastures and allows for the re-introduction of new native plants. Their cattle graze freely throughout their lives, eating the all-grass diet nature intended, to become robust and healthy. No hormones, no antibiotics, no steroids necessary. Want more? You can visit each of the four families raising your cattle, the Woods, the Leesers, the Suters, and the Crums. How many companies can introduce you to those kinds of food origins? Are you a believer yet? If you’re not already running for the car keys to drive over to hug their cows at any one of their farmsteads, check out their helpful site, including informative pages sharing cuts of meat, their humanely raised pork, lamb, poultry, rabbit, ice cream, neutraceuticals, and even pet food. And, to boot, this seriously terrific, ethical, earth-friendly company is offering one lucky reader a $100 certificate good for US Wellness Meats products. I am so jealous! Why can’t she be meeee!!! 2. Share this giveaway with friends on Facebook, Twitter or any of your favorite social networks by using one of the share buttons below this post. 3. Like US Wellness Meats on Facebook, Follow them on Twitter, or sign up for their newsletter, full of tips, savings and delicious recipe ideas. 4. Comment Below to share four US Wellness products you are hoping to buy with your $100 gift certificate if you win, and please share how you are following US Wellness Meats (FB, Twitter, Email newsletter). 5. Fanshare Winner Drawing: On Tuesday, July 24, at 12pm MST (Denver, US), I will pick a random winner from the comments section and email him or her. Please respond within 24 hours so we can get your $100 winning certificate to you! I’m not in the US mainland but I already called the company and they ship to PR where I am. Can I enter? I so want this! I would get as many of any steaks that I can!! lol And of course some bacon! And maybe, some beef sticks for the men in my life that I have converted to the Atkins lifesyle. I am following on Twitter. I already liked wellness meats on facebook but will now go and follow on twitter and sign up for newsletter. Congrats to you Jamie and YLS for 5 years of Epic Awesomeness!!! Here’s to many more! I would LOVE some SF bacon, liverwurst, wild shrimp, and a filet! YUM YUM, I follow US Wellness on twitter and facebook! I am especially excited about their nitrite- and preservative-free beef snack sticks and beef jerky! Also salivating over the tenderloin filet and the lamb loin chops! I shared on facebook and I would love to get the gift card so I could try the ground beef (a staple in feeding a family of four), the summer sausage, the breakfast beef sausage, and some of the lamb rib chops! I would so buy the Delmonico steaks, the ribeye steaks, the New York strips and then some bone in chicken breasts just for some variety! Yum yum yum!! oh! I forgot to mention I am following Wellness Meats on Facebook! Hi! Thanks for the opportunity! If I win, I would buy $100 in grass-fed beef because my family LOVES beef! I’m following US Wellness Meats via their newsletter, Facebook and Twitter. I’d use the gift certificate to purchase beef…beef and more beef! To grill steaks, make roasted beast, steak fajitas, steak and eggs. MMMM! BEEF! I followed and shared to Twitter. I would buy grassfed steaks, ground beef, bacon, and franks. Yum! I would go for an assortment of grass-fed beef and grass-fed cheese. And pemmican. I have always always wanted to test out pemmican. I want to try their broth, jerky, liver and liverwurst. For starters. i like US Wellness on Facebook. I just signed up for their newsletter and liked them on facebook. Thank you for bringing them to our attention. Lamb liver, Kerrygold butter, raw grass-fed cheese, pemmican, steaks! Forgot to say that I’m a fan of US Wellness Meats on FB and Twitter, and that I shared this giveaway! Bison filet, Beef Snack Stick Ends, 75% lean ground beef and summer sausage. Following on Twitter. I’m so excited to try your products. I love Prime rib, delmonico steaks, and bacon, but I’m sure my furry friends would love the knuckle bone cartilage. I shared on my timeline, liked them on FB and signed up for the newsletter! Great site; can’t wait to spend some time shopping on there. If I were to win the prize package I would truly buy $100 worth of nitrate-free bacon!! That’s my Angela! Anyone who goes right for the bacon deserves props. I would buy the bacon, ground bison, wild Alaskan salmon and free range chicken breast. I liked U.S. Wellness on FB. I would get some grassfed beef steaks, some bacon ends, marrow bones, and the jerky for sure. I signed up for their emails and shared on Pinterest. I would purchase a little bit of pork, dairy, lamb and probably more pork. =) I don’t have access to any of those pastured at a reasonable price. Have never gotten any meats from US Wellness, but I do buy local grassfed/organic meats and love it. I would probably get Free Range Chicken Breast, Ground beef, and a bunch of roasts! I have never had grass fed meat and wish I could get a sample of everything. However if I only had $100 I think my top picks would be the petite top sirloin, Bison tenderloin filet, wild caught raw shrimp, the chicken/feta/ spinach links. That is the 4 products you asked for but if I had any money left over I would also like chicken apple sausage links, and the fresh cut pork chops and some bacon please. I “liked” on Facebook, followed on twitter, and signed up for the newsletter. Congrats on your anniversary and thanks so much for all the help and inspiration this site has given me. Now make sure to celebrate by doing something extra special for yourself. what a cascade of goodies! I shared and liked US Wellness on FB. My shopping list would include some 6 oz filets, SF bacon, the beef snack sticks and some of that Kerrygold butter! I followed on facebook and shared on Twitter. Would love to try their pork bacon (duh! ), flank steak, rib eye and tenderloin. Yum!! beef sticks, chocolate, vanilla whey and the beef patties. I am following you on facebook and will share there also. I would love to win! I’m really looking forward to trying any of their products, but if I had to name just 4, I’d choose the Lamb Loin Chop, the Boneless Rabbit Striploin, the Bison Tenderloin Filet, and the Tenderloin Filet Mignon. Yum! I can’t wait to introduce my family to this product! Forgot to say, I have been a fan of US Wellness Meats on facebook for awhile now. I can’t wait to see who wins! I follow US Wellness Meats on Facebook, and if I won the certificate, I would get myself some 75% lean ground beef, some nitrate-free bacon, Delmonico steaks and plain beef jerky. Thanks for the opportunity! I am following on Twitter, I shared on Facebook, and I signed up for their newsletter. All cuts & quantities. Haven’t purchased from you yet but just attended your seminar in the Real Food Summit by Sean Croxton. I follow US. Wellness Meats via their newsletter, Facebook and Twitter. Already subscribe to their newsletter, Facebook and twitter pages! Thanks again! I’ll use the certificate for Honey & Cherry-Free Pemmican, 85% lean ground beef, ground bison, and sugar-free pork bacon. YUM! I follow US Wellness Meats on Facebook, and I shared this contest via e-mail. I would buy some ground beef, bacon, and steak, and shrimp. I follow on Facebook and get the newsletter; if I win I will probably buy beef and bacon! Thanks! Ribeyes, for sure, but also chuck roast, short ribs and skirt steak! I tried posting this to Facebook, but I keep getting an error. Hi, Richard! If it isn’t working, you can just post the link to FB. The shortcuts are supposed to make the process easier, but…but…but… aw hell, just go ahead and enter. I hate it when stuff gets a little fussy. I follow on Facebook and subscribe to US Wellness newsletter. Absolutely LOVE US Wellness Meats!! My favorites are the sugar free beef bacon, the beef franks, the bison ground beef and the eye of round roast! I’m a fan on Facebook and if I won, let the shopping spree begin! Some of my favorites are the free range chicken breasts, spicy beef jerky, Italian pork sausages, and nitrate/white sugar-free ham. Now I’m hungry. 🙂 Thanks!!! I love US Wellness, and I’d love to try their rabbit, their pemmican, more of their bacon (Yum! ), and their steaks. I’ve shared this on facebook 🙂 I already like US Wellness (and you!) on there. This is a great giveaway. Congratulations on 5 years!! I want to try their free range chicken breast, grassfed steak, ground beef and bacon! I follow USWM via twitter, FB and newsletter already. Thanks for the giveaway! Already signed up for the newsletter. As for what I’d buy? Well, who could turn down a chance to get some bacon. Also some steak and, now don’t cry about Thumper, but I’d go with the rabbit too. Thanks for providing such a great and easy way to get the best healthiest meat!!! I like US Wellness on Facebook, Twitter, and subscribe to their newsletter. 2. Shared on Pinterest, Facebook. The share buttons aren’t working for me, by the way. 3. Liked USWM on Facebook, follow them on twitter, and already subscribe to their awesome newsletter. I would buy ground beef, beef snack sticks, liverwurst, and sugar-free bacon. I follow US Wellness Meats on facebook and via newsletter. Thanks! Hi Jamie, Congratulations on your blog anniversary. I would love to win the Wellness Meats prize and would spend the winnings on nitrite free pork, wild caught seafood and their beef products. Everything looks so good! I follow on Facebook and the newsletter. I shared on Facebook. I liked U.S. Wellness on FB already! Just shared this competition on my page … I would definitely get liverwurst and pemmican. I’d probably get some bacon because I hear it is so yummy. Osso Buco looks very interesting. Short ribs … It’s hard to decide! Liked them on Facebook, great info! SF BACON, bacon, and more bacon! Kerrygold butter! Filet! And bison! oh my! Gladly shared the giveaway on Facebook! Been a follower and fan of US Wellness Meats for a few months now. Would love to stock up on more steaks, bacon, ground meats, and try a treat! and Alaskan Sablefish (Black Cod)! Thank you for the opportunity to win. I’m following US Wellness Meats on Facebook and shared on my timeline. If I won the giveaway, I would use it towards BACON (pork bacon for us YUM)!!! And some NY Strip steaks, some South Carolina whole chickens, and definitely some grass-fed ground beef! I follow US Wellness Meats on FB and Pinterest and I think I’m signed up for their newsletter too. I follow on FB and get the newsletter! I would buy a bunch of steaks for the grill!! And some bacon! I am following US Wellness Meats on Facebook. I would love to replace my staples with grass fed ground beef and cage free hormone free chicken breasts. Did someone say they have bacon? Oh and grass fed dairy. I’m following and sharing on Facebook. I’m drooling thinking of the ribeye steaks I would buy! I’d also get some ribeye ,ribeye, and more ribeye. I followed and tweeted on Twitter (redundant?) and I am following on FB… I would get…hmmm, how to choose? Ok. 1. Ground beef. 2. Ground lamb. 3. Beef heart. 4. Beef kidney. Thanks for the chance to win! I would get sugar-free bacon, jerky, ribeye steaks, and pork chops. I already follow them on twitter and facebook, and just shared this post on fb! oops – I get all flustered when I think of bacon! What I meant to say was I already follow them on fb and I am a subscriber to their weekly email newsletter, and I just shared this on my twitter! I liked on fb and also shared. I would love a variety of steaks and burger and the butter would be absolutely wonderful. I have been wanting to try their sugar free bacon, free range chicken, rabbit, beef bones, and various steak cuts. Did I mention I like their Bacon?? Oh I’ll share it on Facebook too. I already get their e-mail list at another e-mail address. If I win the $100, I would get Delmonico steaks, the ribeye steaks, the New York strips and bacon. I’ve “liked” US Wellness Meats on Facebook and have been on their email list for awhile. I’d love to try ANY of their meats because I’ve never had grass fed beef before! I’d also love some of their sugar free bacon! Thanks for the chance! And I’m curious to try some pemmican! I liked the Wellness Meats via FB! Ground pork, ground beef, ground chicken (LOVE them for breakfast) beef back ribs, and beef short ribs for my smoker. I already get their newsletter and follow them on fb. I follow US Wellness on facebook and twitter. I liked on FB and tweeted. Mmmmm, I want sugar free beef bacon, pork tenderloin, pork shoulder, and grass fed ground beef! I already follow US wellness meats on facebook, already subscribed to their newsletter. Love them! Following on FB. Sugar free baaaaacon, liverwurst, rabbit, and steak! NY Strips, skirt steaks, 75/25 ground beef (love this from USW! ), pork chops, bacon & ribs! Would also like to get beef bones. 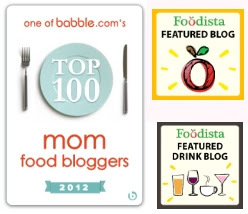 I follow them and shared on Facebook and Pinterest, and also receive their newsletter. I’ll probably get Bison and some lamb. I have never purchased lamb before and i’m looking forward to it! Hi Jamie. Happy Anniversary/Birthday! LOVE this site sooo much! Have no trouble drooling over your recipes but do have trouble keeping up with all that I want to try. What I have tried has been outstanding. I liked US Wellness Meats on FB, signed up to rec their emails and added at Twitter. did I forget the bacon? I’d buy a beef primal cut, hot dogs, ground lamb, and their Italian sausage. I follow them on Facebook, Pinterest, and newsletter. Shared this on Facebook and Pinterest. If I win I am all about grass-fed beef, and of course, BACON!!!!!! I will purchase as many steaks I can if I win the gift certificate. Thank you. Hope to win! Fabulous! So good to know change is happening…at least somewhere, LOL! Liked on FB and signed up for their newsletter…anxious to read more about them in the future. And have long since shared/liked your wonderful FB page! 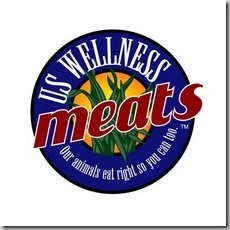 Have never had the opportunity to try meat from US Wellness Meats, but would love to do so. If I won I would buy ground hamburger, bacon, and sausage for my husband. I have been trying to get him to eat healthier but he refuses to give up on his beef. So here is a way for me to accomplish that goal. Thanks for the opportunity. I am following on facebook. 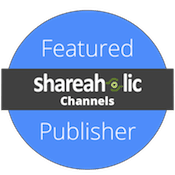 Liked their Facebook page and signed up for their newsletter … appreciate learning about them!! I would probably want to add Beef Snack Stick Ends and Beef Breakfast Sausage Sliders. NF Bacon, of course, beef, and chicken breasts! YUM! I already follow US Wellness meats via email newsletter, but would love the opportunity to try their meats. My wish list would probably include the grass fed beef (ribeyes, flank steak, ground beef/bison) and of course sugar-free bacon! Congrats to you and thanks for such a wonderful opportunity! I am excited to find out about this company. I subscribed, I liked them on FB and this is what I would like to try. I would love to try the lamb steaks as I have never eaten that before. The ribeye sounds delightful and mouthwatering. Beef!!! I want to try the snack sticks, ground beef, jerky and filet. I follow on facebook. Thanks! I follow them on Facebook and I would love to try the tallow, and beef pemmican as well as ground beef, and rabbit. I signed up for the news letter and facebook. If I won, I would get Ground beef, hot dogs, bacon(if it is stock…lol) and the beef snack sticks. The snack sticks are the first I have seen that didn’t contain sugar. Great site! I want to purchase their ground beef, Kerrygold butter, grass-fed baby swiss cheese, and ground bison! I follow US Wellness Meats via their newsletter on e-mail. I follow their e-mail newletter and like them on FB. I would use the money to buy grass-fed lamb. I can taste it right now! Grass feed steaks and bacon. It doesn’t get any better than that! I’m now following in Facebook! 2. I shared with friends via Pinterest. 3. I liked US Wellness Meats on Facebook, and signed up for their newsletter. and whole fryers…they last a few days as well! I would love to win this gift card! I did sign up for US Wellness Meats emails! I followed on Twitter and would get the petite sirloin bundle. Never can have too many steaks. I follow them on Facebook and Twitter. I’m dying to try the beef Braunschweiger, the beef tallow, gourmet rabbit, and lamb! And whey protein powder–my source for good whey protein powder is not available right now. I forgot to say I do follow them on Facebook and get their newletter. I’d really love to win this. I would get lamb chops, sirloin tip roast, hamburger, steaks and beef sticks. I get the newsletter from us wellness meats. I really want to try the sugar free bacon, rib eyes and flank steak. I would start with some ground bison – my DH wants to try bison burgers! Then a treat for my pups – beef knuckles. Then I’d follow with some basic snacks – of which, being Paleo, are always expensive – like some pemmican and jerkeys. End with a some marrow bones for bone stock (YUM for winter soups) AND finish off in steak – ribeyes or one of the many other interesting cuts – they have several I didn’t even know about. Shared via Facebook and twitter, and following and liked! I would love some steak! We eat ribeyes about once a week. I’d also like some ground beef. 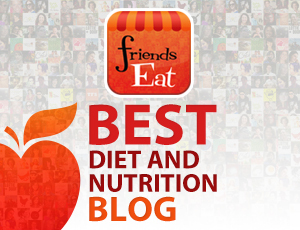 Now following them on Facebook – so glad I found your site! I would order bacon, some pet burger for my spoiled dogs, lean ground beef, chicken breasts, ground bison, and some prime steak cuts to name a few. Delicious! I liked them on facebook and I already get the newsletter. I would primarily choose beef items but for the hubby maybe some bison or lamb and probably cheat a bit with their raw organic ice cream. So many great sounding products it’s hard to decide! I shared on Twitter and liked on Twitter! I’m following them on FB and subscribed to the newsletter. There is a lot to choose from but I’d have to say I want to try the grass-fed sirloin so I can serve it to my Nebraska family who swears that grass-fed beef is tough and won’t have the flavor that corn-fed has. I’d also try the free range chicken which I’ll bet tastes a whole lot like the chicken I ate in France, and some Kerry Gold butter for sure to cook with. I’d also go for some lamb – deliciousness! I have liked US Wellness Meat on FB, following them on Twitter, and signed up for their newsletter. Now how can I possibly narrow my list down to 4 lol!!! I definitely would need to get me some sugar free pork bacon, Ribeye steak, Turkey provolone sausage links, and beef patties. I have ‘liked’ US Wellness Meats on Facebook and I am sharing on Pininterest, and signed up for the newsletter. I’m following US Wellness on Facebook. If I won I’d like to try bison burger and bison steak, leg of lamb steak and 85% ground beef. Liked and shared on facebook as well as sending emails. I’d have a hard time picking but suspect it would be beef, chicken, bacon and probably more beef! I follow US Wellness Meats on Twitter and like them on Facebook. OH man! They have PORK!!! Like them on Facebook and signed up for email newsletter. I was exposed to US Wellness Meats by a speaker at the Real Food Summit. I purchased a mix of what they offer. I love it!!! It is so great to have flavor and tenderness (not from fat). So far I have enjoyed hamburgers and a roast. This weekend I am making crock pot chicken. Bacon, lamb chops, ox tails, bison burgers and an old favorite….ribeye steaks. I have liked US Wellness Meats on Facebook and signed up for their newsletter. Thank you US Wellness Meats for producing a great, healthy product that is reasonably priced and available. Your variety is better than the local market….why would I ever go back there when you deliver to my door. I “liked” them on FB, 1+ on Google and am following on Twitter!